How Does Fennel Water Relieve Infantile Colic? The anti-colic property of fennel water makes it beneficial for babies with gastrointestinal disturbances. Fennel water is an excellent preparation for babies and children with stomach pain and digestive weakness. Colic or stomach pain is common among babies and flatulence or gas is the major cause of colic. 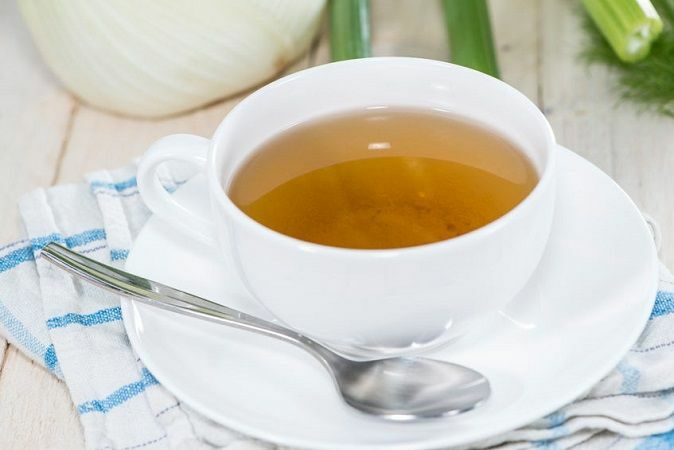 Healthy compounds present in fennel water help the gastrointestinal tract to relax and thus reduces colic symptoms in babies such as burping and hardening of the tummy. Fennel water alleviates the discomfort associated with it and helps to get rid of gas and flatulence. Furthermore, consumption of fennel water lowers the sensation of heaviness in the stomach. It reduces the intensity of colic and improves digestion too. Boil one teaspoon fennel seeds in 200-250 ml water for 2-3 minutes. Strain this water and allow it to cool. Strain once again before giving this water to your baby and make sure no fennel particle is present in the water. Give small doses such as 1-3 teaspoons at a time. Note: Consult your doctor and dietitian before starting with fennel water. Also I recently started taking abha guggulu for osteoporosis & am unclear as how to take it..
Would you please tell me the correct way to take it”?? I’ve been taking 2 tablets twice a day with warm milk an hr. after eating. Is this correct?? 1. Yes, Fennel Water also works for adults, but dosage changes to 20 to 60 ml twice or thrice daily. 2. Abha Guggulu alone may not help much in osteoporosis. It works well in combination with Laxadi Guggulu, Cissus Quadrangularis, Ashwagandha and other mineral supplements like Mukta Shukti Pishti, Kukkutandatvak Bhasma, Abhrak Bhasma and Yashad Bhasma. Gandha Thailam is also effective for strengthening bones and preventing fractures. Where can I purchase these extra mineral supplements? Do I need all of these or just one or two? How do I take these?